Whether to protect teeth from bruxism (grinding) or to correct a bite, mouth guards are trusted forms of treatment for children. Dr. Su will determine the appropriate type of mouth guard for your child's unique dental needs. Once a type has been established, our dental team will create an impression of your child's mouth in order to create a well-fitting custom mouth guard that will protect your child's teeth. 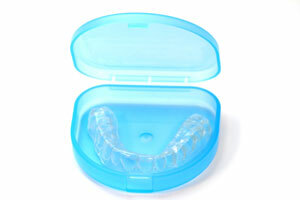 Mouth guards can be used to treat and prevent a host of dental conditions for children. Contact our office today to schedule your appointment!